The Memorial Candle Program has been designed to help offset the costs associated with the hosting this Tribute Website in perpetuity. Through the lighting of a memorial candle, your thoughtful gesture will be recorded in the Book of Memories and the proceeds will go directly towards helping ensure that the family and friends of Edward Nickerson can continue to memorialize, re-visit, interact with each other and enhance this tribute for future generations. Norway - Edward “Nick” A. Nickerson, 74, went home to be with the Lord on Aug. 5, 2018, following a long illness. He was born on Jan. 29, 1944, in Dover-Foxcroft to Austin and Doris Nickerson. He graduated from Foxcroft Academy in 1963 and married his wife, Susan Strout on Aug. 7, 1976. Nick loved their log home on Marr Pond in Sangerville and enjoyed listening to the call of the loons with his wife and daughter, Jenni. In 2011, he and Susan relocated to Western Maine to be closer to their daughter and her family. As a mason, he built many fireplaces and was known for his “creative” stone work. Employed at a local school district as an educational technician, Nick enjoyed working with the students. He was a former registered Maine guide and a Hunter Safety instructor. Spending time with his family and fishing and hunting with his brothers and son-in-law, were cherished times. As a proud grandfather, his grandchildren were very important to him. 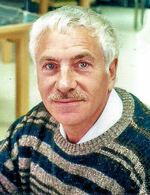 Nick was a past member of the Dover-Foxcroft Living Word Assembly of God Church for over 30 years. His service as a deacon was rewarding to him because he wanted to help others. He will be sadly missed. Edward was predeceased by his parents. He is survived by his wife Susan of 42 years; their daughter, Jenni; and son-in-law, Jeff Padgett; and their children: Jake, Jonah, Juliese, and Joelle; his brothers: David, Larry, Alan, John and their families; and his sister, Carol Falconer, and her family; his brother-in-law Stephen Strout, and wife Morelle, and their families. The family appreciates those who cared for their loved one and supported them from Market Square Healthcare facility of South Paris and One Beacon Hospice. Funeral services will be held 3:00 p.m. Saturday, Aug 11, 2018 at Brookings-Smith, 133 Center Street, Bangor, with Rev. Mark Stevens, officiating. Relatives and friends are invited to call starting at 2:00 p.m. until time of the service. The Committal Service will be for the family only at the Snow’s Corner Cemetery, Hermon. Gifts can be made to the Alzheimer's Association, 383 US Route One #2C, Scarborough, Maine 04074.